These last few days my wife has been helping me move all of my games from their cases into a binder. Long story short as to why I am doing this being that we are leaving for a week to go back to my home town for Christmas to surprise our parents and I am super paranoid about leaving all of my games. Silly I know but I think you will understand when after I put all of them in the binder there was something over 200 disks in there. And this is before we even consider handheld games. 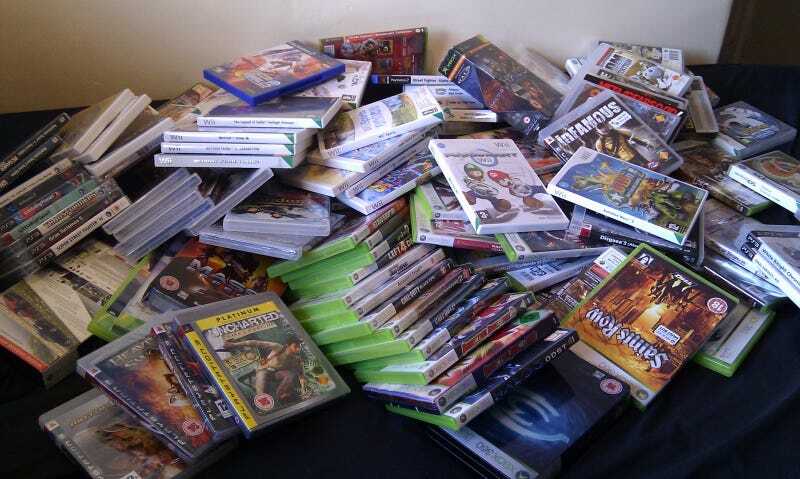 This led to my question here, Do you sell your games or do you hoard them? We know my answer of course, in that I obsessively keep all of my videogames like some kind of high tech pack rat. Even once I beat a game or even if I was not all that fond of a game I still keep it, especially if it was a gift. My friends are generally the exact opposite being rather mercurial about it in that they beat a game and then sell it right back to fund the next adventure. I have never been able to do that ever since I broke onto the gaming scene with my PS2 at my side. I still have all of my PS2 games and they make me worry about them. It would be really expensive to try and replace some of my games as they have become rather pricey of late like my beloved .hack games. But even the cheaper ones I have an attachment to, everytime I look at one of my games I can remember the first time I played it, or beat it, or did something particularly awesome in it. They are like the physical anchors to some really important memories of my life. I don't necessarily need the anchors to keep the memories but they are important to me anyway. So my question is I am curious whether my fellow TAY'ers hoard your games or move from game to game like the wind, experiencing them and then using them to get to the next adventure. I can see the allure of the latter way of doing things, as it would help my wallet but I am a shameless replayer of games. It is what keeps my unplayed pile so large.